It’s the tenth anniversary of the travesty that was the 2002 MLB All-Star Game. You know, the one that ended in a 7-7 tie and led to the decision that from then on, the winning side in the game would receive home-field advantage in the World Series. Prior to 2003, the year the rule was implemented, home-field advantage alternated between the AL and NL from year to year. It’s one of three separate but inarguably connected rule-based controversies that dog the “Midsummer Classic” year in and year out. The second being that popular fan vote decides the starting hitters for each side. The third is that all 30 teams must have at least one representative in the game. The rules are linked because what was formerly an exhibition game meant to showcase baseball’s best and brightest (in other words, a money-making scheme) now has actual value. As such, many take issue with the game’s starters being decided based on fans clicking mouses and sticking mini pencils through holes. Equally many argue that requiring a player from each team often leaves superior players off the rosters, which detracts from the notion that the contest spotlights the game’s best. It’s impossible to gauge the impact of playing the first and last two games of the World Series at home. 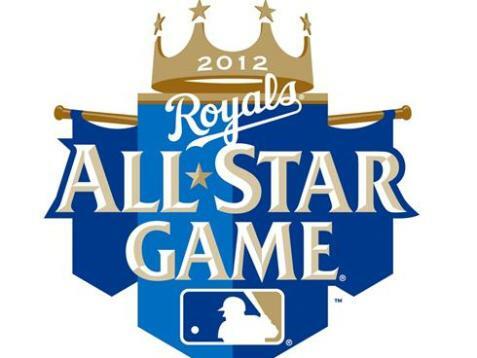 In the nine years the rule has been in effect, the American League has won the All-Star Game seven times. The AL won the game every year from 2003-2009, but its representatives were only champions in four of those seven years. The rule’s effects were minimal, if it had any, as the World Series never saw a seventh game. But in the past two years, the National League has had home-field. In 2010, the San Francisco Giants quickly won their first two home games, and had the Rangers playing scared en route to a 4-1 series victory. Last year was the first time the Series went seven, and the St. Louis Cardinals won the game, and the series, at home. Even if it is impossible to truly gauge the effects, if you’re a fan of a contending AL team, does it sit right with you that Billy Butler might be in a position to decide if your team gets home-field advantage with two outs and the bases loaded in the ninth? Or if your team’s in the NL, that Huston Street (who has only pitched 21 innings this season) might have to get that final out? Those are just some examples of the possibilities of the “one from each team” rule. Let’s take a look at who the fans chose, and decide whether they deserve to be starting, or in some cases, even playing. Will the Tigers run away with things in the American League after acquiring Prince Fielder? Or will the Angels make a trip to the World Series after adding Albert Pujols and C.J. Wilson this winter? Are the Phillies due for a major letdown? Are the Giants ready to bounce back with a healthy Buster Posey back in their lineup? Who is the team to beat in the National League this year? Below are our predictions for the 2012 MLB Season. Don’t like them? Then tell us who you’re picking, tough guy. All comments are welcome and this is meant to be fun, so enjoy the read and enjoy another season of baseball bliss! I’m so used to sliding the Phillies into the No. 1 spot in the NL East that I nearly did it again this year. But even though Philly has the best starting rotation in the division, I like the Braves to ultimately take advantage of the Phillies’ injury problems. Losing Chase Utley and Ryan Howard for the first part of the year will cause the Phillies to start out slow and they could potentially miss the playoffs altogether if Roy Halladay carries his poor spring into the regular season. Atlanta’s starting rotation is solid and its bullpen is very good as well. There’s a good chance that no Brave will hit over .300 this year but they have speed in Michael Bourn, power in Dan Uggla, Brian McCann and Jason Heyward, and a couple of guys that can get on base. Assuming they don’t choke in pressure moments like in each of the last two seasons, I like the Braves to overtake the Phillies in this division… There’s too much talent on the Marlins’ roster for them not to be in the thick of things this year in the NL East. That said, what a combustible situation. Does anyone not think problems will arise with Jose Reyes, Hanley Ramirez, Logan Morrison and Carlos Zambrano in the same clubhouse? And with Ozzie Guillen leading them, no less? Maybe Guillen is the right manager to ensure the club stays unified and I do like the additions of veterans Mark Buehrle and Heath Bell to the pitching staff. But I just can’t see this team crossing the finish line before imploding first…I really liked what the Nationals did this offseason in adding Gio Gonzalez and Edwin Jackson to their starting rotation. Assuming Stephen Strasburg rebounds from his Tommy John surgery, the Nats won’t be pushovers thanks to an excellent rotation and a solid bullpen. I just don’t like the offense. There’s not a hitter in that lineup that’s projected to hit over .300 and there’s not a lot of speed past Ian Desmond at the top of the order. I wouldn’t be surprised if the Nationals challenged for one of the two Wild Card spots but I think they’re still another hitter away (unless Jayson Werth somehow surprises)…The Mets remain in a hell of their own making. Until they get some of their bad contracts off the books, this team will struggle to compete in a good division. Of course, if Johan Santana and Andres Torres bounce back to what they were a couple of years ago, the Mets could surprise. But that would mean David Wright, Ike Davis and Jason Bay would have to produce big seasons and I just don’t see it happening. When stacked up against the rest of the division the Mets are the clear doormats. Why the Cardinals? Because they always find a way to compete and despite losing Albert Pujols, their roster remains balanced. Matt Holliday is the key to whether or not this team will make another World Series run but he’ll have help thanks to Carlos Beltran, Lance Berkman, David Freese and Yadier Molina. This team also has a couple of complementary pieces in Jon Jay, Rafael Furcal and Allen Craig as well. The starting rotation took a hit when Chris Carpenter was shelved this spring with nerve damage in his back/shoulder. But if Adam Wainwright (who has had a tremendous spring) bounces back from Tommy John surgery, the rotation should be fine. (Kyle Lohse remains underrated, Jake Westbrook is coming off a nice spring, Jaime Garcia has very good stuff and the club is high on youngster Lance Lynn.) The question is: Can the Cards stay healthy all year? World Series teams tend to break down the year after appearing in the Fall Classic and the Cards already have a ton of injury questions heading into the year…The Reds are viewed by most pundits as the favorites to win this division and I can’t argue too much with that line of thinking. Landing Mat Latos in a trade with the Padres was a massive upgrade to their starting rotation and you know Joey Votto will mash again this year. But I just think the Cardinals have more balance from top to bottom and if they stay healthy, they’ll win the Central. That said, if St. Louis breaks down, then Cincinnati should run away with the division…Even though the starting rotation is very good (especially the 1-2 punch of Yovani Gallardo and Zack Greinke), the Brewers are poised to take a step back without Prince Fielder in the middle of their lineup. Ryan Braun will still be Ryan Braun but he doesn’t have Fielder protecting him in the order and who knows how he’ll handle playing on the road in the wake of his PED fiasco this past offeason. Still, Aramis Ramirez was a nice get if he can stay healthy and this lineup has plenty of pop. I just think the Brew Crew will eventually fade down the stretch…If Cubs fans can stay patient, new GM Theo Epstein will bring a winner to the Windy City (although I use the term “winner” very loosely). Until then, they’ll need to enjoy watching youngster Starlin Castro play because that’s about all the 2012 Chicago team will offer. It was huge of Epstein to unload Carlos Zambrano and get a promising young pitcher in Chris Volstad in return, and landing Anthony Rizzo in a deal with the Padres was solid as well. But this team is devoid of talent right now and it’s going to take Epstein a few offseasons to beef up the roster…The Pirates were a feel good story before the All-Star Break last season but their youth and lack of overall talent eventually caught up to them. I love Andrew McCutchen and their lineup features some nice players in Jose Tabata, Neil Walker and Garrett Jones. But the starting pitching is weak and McCutchen can’t carry the team by himself. Maybe Pittsburgh will make things interesting for its fans again this year but eventually, the Cardinals, Reds or Brewers will overtake them in the division…It’s downright cruel of the Astros to ask their fans to pay for tickets, parking and concessions. The games should be free given what kind of product management will put on the field this year. There’s not a 20-plus home run player in their lineup and their starting rotation is weak outside of Wandy Rodriguez. Even in a weak division Houston doesn’t have enough to compete and I can’t envision a scenario in which the Astros surprise. They’ll be out of it by the All-Star Break. I don’t agree with some of the decisions that Brian Sabean made this offseason (or in prior offseasons for that matter), and I remain perplexed as to why the Giants are so hesitant to start Brandon Belt when they’re a club in desperate need of offense. But I like the Giants to re-claim the NL West this season. Buster Posey and Pablo Sandoval have never been healthy and productive in the same season but I think that all changes this year. Melky Cabrera was a nice addition to the lineup and once he’s healthy, having Freddy Sanchez back in the mix at second base will be huge as well. Of course, the Giants will win because of their pitching. Tim Lincecum, Matt Cain, Madison Bumgarner and Ryan Volgelsong are fantastic and will cover up the weaknesses of the offense (and Barry Zito, who is horrifyingly bad). Assuming they don’t suffer any big injuries, I like the Giants to make a run this year…That said, if the Giants slip then the Diamondbacks will be there again when they fall.Arizona was very good last season and it went out and improved its pitching staff with the additions of Trevor Cahill and Takashi Saito this offseason. The lineup also offers plenty of power thanks to Justin Upton, Paul Goldschmidt and Chris Young, so why am I not picking the D-Backs to repeat as NL West champs? Because I think they’ll have more competition this season than they did last year. The Giants are healthy again, while the Rockies, Dodgers and Padres all improved in some areas. I see a slip coming for Arizona, although I do like the Snakes to claim one of the Wild Card spots…The Dodgers have been a mess off the field the past couple of years but their on-field product isn’t as bad as some think. Led by ace Clayton Kershaw, the starting rotation is underrated and the lineup features star Matt Kemp. That said, the Dodgers have a tendency to underachieve and while I firmly believe that they have enough to compete, I think they’ll eventually slide to the middle of the pack in the National League…Some folks are high on the Rockies’ potential and I can see why looking at their lineup. Carlos Gonzalez and Troy Tulowitzki are studs, and the additions of Michael Cuddyer, Marco Scutaro and Ramon Hernandez will only help an offense that also features nice complementary pieces in Dexter Fowler and Todd Helton. But their pitching scares me. They don’t have that bona fide ace that will go out and stop the bleeding in the middle of a losing streak and I think over time, their bats will be silenced by teams like the Giants and Diamondbacks, who do have the arms to make a postseason run…I like what the Padres are doing but they just don’t have enough weapons to compete this year. Trading Mat Latos and Anthony Rizzo may help this club in the future, but for now San Diego will have to make due with what it has. And outside of Jesus Guzman and Yonder Alonso, “what it has” simply won’t be good enough. The San Francisco Giants have had a rather quiet winter. Sure they made two trades in efforts to improve their weak offense, but acquiring outfielder Melky Cabrera for starter Jonathan Sanchez, and Angel Pagan for Andres Torres and Ramon Ramirez was hardly the moves fans were expecting. The Giants essentially said that they would be frugal this offseason and thus far, they’ve kept their word. But nobody expected the club to struggle re-signing one of its coveted pitchers, especially the ace of the staff. According to Jon Heyman of CBSSports.com, there is still a “sizable gap” in long-term contract talks between the Giants and Tim Lincecum. The club is believed to have improved upon its initial four-year offer from this summer, but Lincecum is thought to be seeking an eight-year deal. Those close to the negotiations tell Heyman that both sides are weighing one-and-two-year contracts in case a long-term deal cannot be reached. Considering Lincecum already owns two Cy Young awards, helped the Giants win their first World Series title in San Francisco, and is coming off a season in which he posted a 2.74 ERA with 220 strikeouts, one would think San Francisco would jump at the chance to re-sign one of its prized pitching possessions. But apparently frugal is winning out at the moment. The Giants also have a decision to make about No. 2 starter Matt Cain, who becomes a free agent at the end of the season. Cain posted career-highs in ERA (2.88) and WHIP (1.083), even though he only won 12 games last season. He’s been repeatedly burned by lack of run support over the years and if the Giants don’t want to pony up to keep him happy, maybe he’ll think about moving on after the 2012 season. 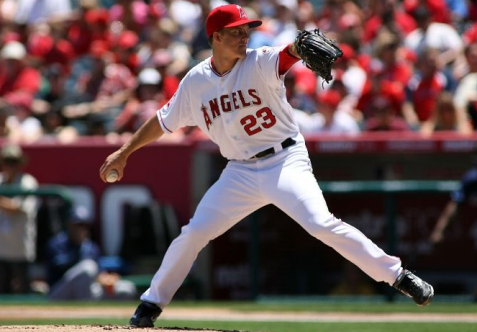 He could potentially win 20 games with a team like the Yankees or Red Sox, who are constantly looking for good pitching. If Buster Posey (leg) makes a full recovery, Pablo Sandoval keeps up on his offseason conditioning, and youngster Brandon Belt takes a major step in his development, the Giants’ offense won’t be as bad as it was in 2011. (Then again, how could be any worse?) But this club is built on its pitching so GM Brian Sabean has a lot of work to do in order to keep guys like Lincecum and Cain around long enough for the offense to finally blossom. When Buster Posey was lost for the season following a collision at home plate with Marlins’ outfielder Scott Cousins back in May, one could have pointed to that moment as a low point in the San Francisco Giants’ 2011 season. But oh how things have gotten much worse. On Monday night, the Cubs’ Randy Wells threw his first career shutout while limiting San Fran’s hopeless offense to just two hits in a 7-0 victory. (For those wondering, yes, that’s 5.00-plus ERA Randy Wells I’m referring to.) The losing pitcher for the Giants was none other than ace Tim Lincecum, who received zero run support for the 10th time in his last 28 starts. The economy has looked more efficient in the past two weeks than the Giants’ offense has, which is frustrating when you consider how GM Brian Sabean gave away the organization’s best prospect to acquire Carlos Beltran from the Mets. Beltran was supposed to provide the team with just enough offense to get them to the postseason where their pitching could (hopefully) dominate like it did in 2010. Instead, Beltran has been sucked into the same black hole as the rest of the Giants’ hitters (save for Pablo Sandoval) and once again Sabean has been had in a trade (which is nothing new). Of course, as infuriating as Sabean can be in his decision-making at times (Miguel Tejada or Orlando Cabrera anyone? ), it’s not his fault that seemingly every night the Giants send a new player to the infirmary. Posey and second baseman Freddy Sanchez (one of Sabean’s better trade acquisitions) are out for the season while Beltran, Sandoval, Brian Wilson, Sergio Romo, Jonathan Sanchez, Barry Zito, Mark DeRosa, Cody Ross, Andres Torres, Pat Burrell, and Nate Schierholtz are either on the disabled list now or have at least spent some time on it this season. It appears as though the baseball gods have returned to wreak havoc on the Giants following their magical run in 2010. Now if you’re among the many people who felt that last year’s World Series title was a fluke, then you’re certainty entitled to your opinion. I think your opinion is pure horse dung, but you’re entitled to your opinion nonetheless.